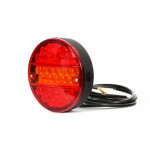 Front-rear end-outline lamp cover lens oval. 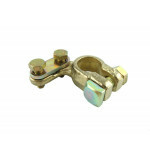 Brass battery terminal clamp "+", positive. 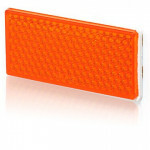 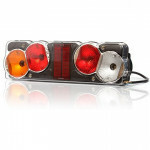 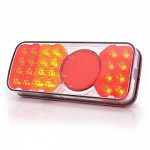 LED front-rear end-outline side marker lamp 12V-24V LEFT W148.1. 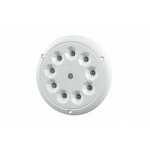 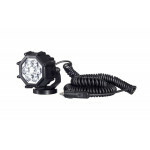 A new, universal W81 LED lamp is useful to light the field of working area in household work, and sailing. 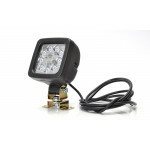 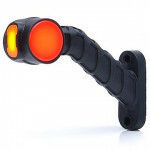 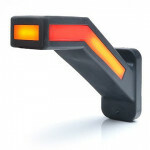 LED front-rear end-outline lamp oblique short arm with 2x0,75mm2 wire. 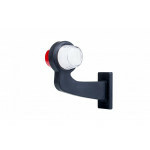 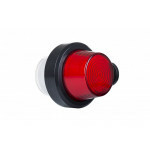 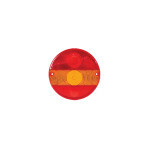 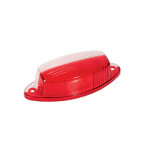 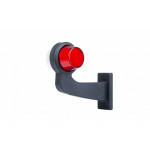 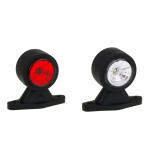 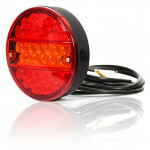 Rear lamp cover lens MD-016, round, universal. 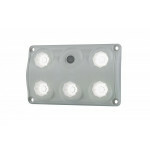 Interior lighting lamp 12V or 24V with key switch. 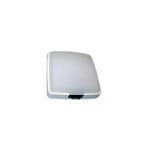 White cover, milky. 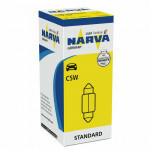 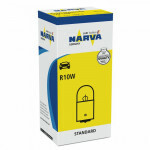 Tube bulbs C10W 12V or C10W 24V (2 pcs / lamp) - not included. 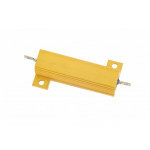 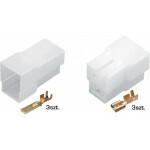 12V resistor for LED indicator 10ohm REZ2458. 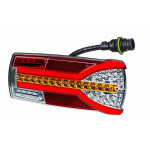 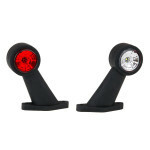 LED front-rear end-outline side marker lamp LEFT W168.6DD with dynamic direction indicator. 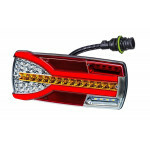 LED front-rear end-outline lamp straight short arm with 2x0,75mm2 wire.